Prof Dr Mohd Hamdan Ahmad has been with UTM since 1988 and was promoted as a Professor in Aug 2008. His whole life was dedicated to architecture and built environment sustainability as both an academician and researcher. Recently on 5 July 2018, Prof. Dr. Mohd Hamdan was awarded the “100 Most Dedicated Professors” Award by the World Education Congress in a prestigious award ceremony in Mumbai, India. Prof Dr Hamdan was a Bachelor in Architecture graduate from University of Miami, USA in 1987 and PhD graduate from University of Manchester in 1997. Since then, he had really focused on crusading green and sustainable development agenda that is appropriate to the Tropical context through his involvement in teaching, research, consultancy and postgraduate supervision. Prof Dr Mohd Hamdan Ahmad is also currently the Dean of UTM Faculty of Built Environment and Surveying and the Director of MIT UTM Malaysia Sustainable Cities Program (MIT UTM MSCP). 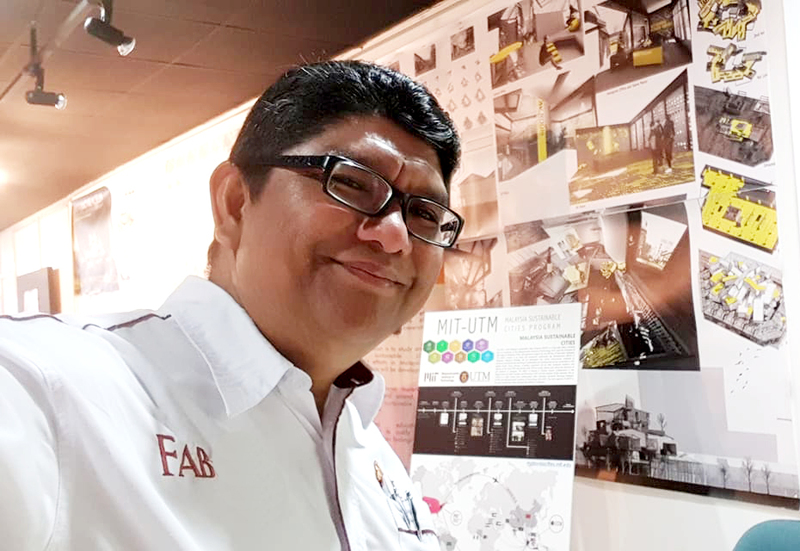 He was the former Executive Director of the Institut Sultan Iskandar (ISI), a wholly owned company of UTM with core business in research and consultancy focussing on urban habitat and sustainability. His research expertise and area of interest include sustainable cities and architecture design, urban habitat, building climatology and performances, smart cities, eco-tourism and architecture education. Sustainability in built environment requires reconciliation between economic, environmental and social impacts of design and planning decisions made during life cycle of a project, from inception to termination. Prof. Hamdan’s research works always focus on minimizing the negative life cycle impacts of a development project which requires an in-depth understanding of the nature of these impacts, their magnitude, and alternative design and planning approaches to mitigate these impacts. He has been involved in numerous green developments and practices including involvement in the Low Carbon Society of Iskandar Malaysia and Low Carbon Society 2030 for Kuala Lumpur blueprints. He was also involved in the development of various public parks such as Hutan Bandar Johor Bahru, Taman Merdeka Johor Bahru, Linear Park Johor Bahru and Taman Tropika in UTM. He is also a green building promoter and consultant affiliated to GreenRE, Casbee Iskandar Malaysia, GBI and prominent judge for Green Accord Initiative Award (GAIA). He has developed two experimental houses within UTM Campus: the first is an Ecohouse, a hybrid low energy house system and the second is Door House for the Poor (ODOORS) an open IBS low cost housing system. His work has been cited 745 times in Google Scholar.